I started working at the Resort in December 2010. 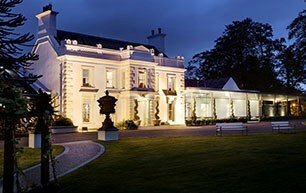 I started working at Galgorm Spa & Golf Resort as a waitress in the River Room and Lobby serving Afternoon Tea during the day and working in the River Room during the evening. I began as a Waitress for 9 months serving Afternoon Tea during the day and working in the River Room during the evening. 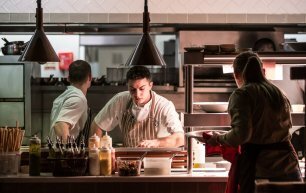 I was then promoted to River Room Restaurant Manager where I was responsible for standards during service, staffing, financials, stock, and I was heavily involved in acquiring our 3 AA rosettes and I held this role for 3 years and 9 months. I am now in my current role of Operations Manager for 1 year and 9 months where I am managing the day to day running of the hotel, the guests journey, guests feedback, recruitment, staff morale, budgeting, financials, stock and health and safety. Tell us about how Galgorm Spa & Golf Resort helped you progress in your career? 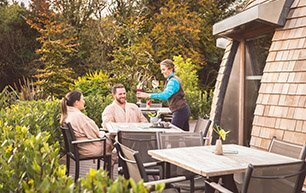 Galgorm Spa & Golf Resort provided me with a one-year management programme which focused on all areas of the hotel and included work experience in each of the various areas. This greatly helped me develop my journey throughout the hotel and learn all the various departments. I have completed a number of courses within the Resort and some of these include World Host, Train the Trainer, WSET Wine and Spirit Education Trust. I am currently the resorts Operations Manager where I am managing the day to day running of the hotel and supporting the General Manager. The team of professionals I have the pleasure of working with on a daily basis. The opportunities are endless, try to experience different roles before settling on one you are passionate about.